In the post-Soviet period, pro-communist-minded circles of society in our country are increasingly raising the issue of the demographic situation. 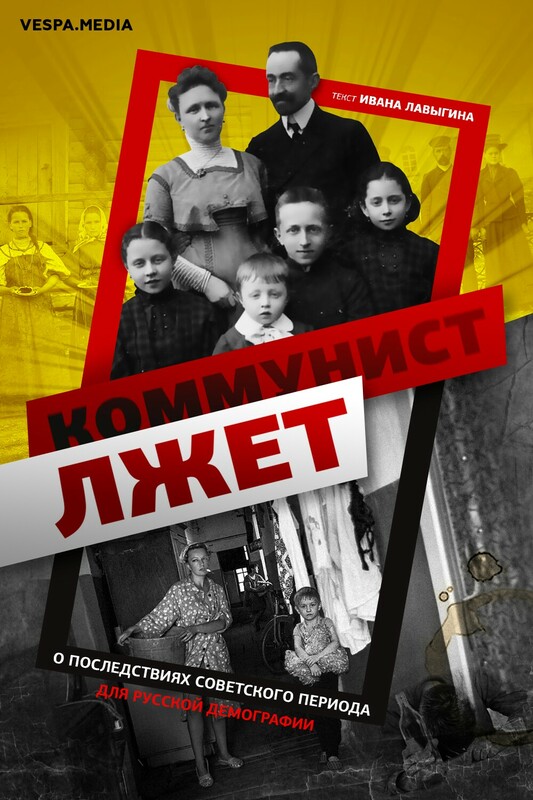 Speculations on the state of population in Russia are used by left forces to promote anti-national and anti-government propaganda aimed in order to arouse in Russian citizens sympathy for the supposedly prosperous - if not from the perspective of personal wealth, then at least in relation to public processes - to the Soviet past. Every citizen who has thought about the future of Russia at least once in his life understands that national demography is really important. If the Russians are dying out, then in the long run, neither our momentary well-being nor the natural human desire to work for the future of our generations and our country becomes important. Therefore, it is thoughtful to consider the demographic processes that have taken place with our people in the last century, it is really necessary - both to preserve the national historical memory and to protect ourselves from deception and manipulation. First of all, one should be aware that demographic processes have a strong inertia. A person lives about 70 years (about the same number lived the Soviet regime), and the current demographic situation may be affected by the consequences of events that happened decades ago. Therefore, speaking of the demography of post-Soviet Russia, it is impossible not to consider the communist period immediately preceding it. First of all, when it comes to national demographics, thoughts turn, of course, to the number of children born. However, in itself, the absolute number of births is not very well suited to assess the favorable conditions created in the country for the birth of children - after all, it also depends on the total number of women of fertile age at a particular historical moment. A more adequate is the birth rate of real generations, which shows how many children on average were born to a certain age by women of a given year of birth. However, it is not very convenient due to the fact that during the life of a woman (more precisely, over the several decades that make up the age of female fertility, from 15 to 45 years), conditions in the country can change significantly, and the final number of children will be affected all factors of the era in the aggregate. The distribution of fertility in women by age groups. By the 45 years, the birth rate is almost disappearing. The TFR does not depend on the small or large number of the fertile generation in the year under consideration, which is very important for the many social cataclysms that have experienced in the twentieth century, and makes it possible to estimate the birth rate in each individual year, which is required for analyzing the demographic dynamics. So, what kind of birth did the Communists get from the Russian Empire? The highest At the beginning of the twentieth century, the TFR in Russia was more than 7 births per woman, while in other European countries - 3-4 births. But almost immediately after the end of the civil war and the establishment of Soviet power in the birth rate, the collapse begins. Already by 1940, the birth rate drops to 4,5 births per woman, and after the end of World War II, to 3. In just twenty years, the communist restructuring of society has more than half killed childbearing in Russia. It is also worth noting that in many European countries and in America the end of World War II was marked by an increase in the birth rate relative to the pre-war level. For example, in the USA, the TFR jumped on the 15 point during the 1,2 years - from 2,5 to 3,7. Similarly, from 3 to 4 births, the birth rate jumped in Canada. England and France have noticeably grown relative to the pre-war level. And even in Germany, which had lost the war, the TFR grew by an 0,5 point, also by fifteen years. But in the USSR, “a paradise for the common people,” a military victory did not affect the demographics in any way. Even the pre-war birth rate was not restored, and after ten years of stagnation, the birth rate has steadily crept down again. 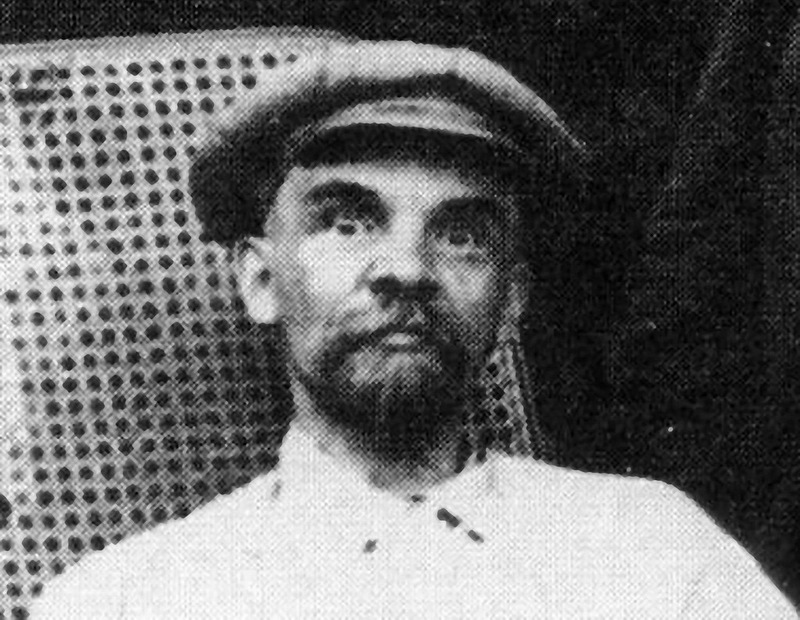 It is necessary to understand that the society created by the Bolsheviks differed from the developed countries not only by mass terror, the worst indicators of material wealth or the level of medicine. Bolshevism imposed its imprint on other social processes. In European national-conservative sense, a woman was unequivocally thought primarily as the mother and keeper of the family hearth. Such a role was not only generally accepted, but also promoted by the state and public institutions, forming the ideals of young girls. Not everything was so in the Bolshevik state. There, in accordance with the revolutionary ideals of the Marxists, the focus was on the "liberation" of women from the "remnants" of the bourgeois patriarchate. The image proposed to women for imitation was focused primarily on the role of a “comrade” in the communist class struggle and a worker standing at the bench. It is difficult to see anything surprising in the fact that the birth rate, under the influence of similar views on the family, was striving lower and lower. In the second half of the twentieth century, a key demographic breakthrough occurs. In order for the people to maintain their numbers, every woman must (on average) have at least 2 children, to replace herself and her husband. Adjusted for accidents and illness, the level of reproduction for the birth rate is the 2,15 births per woman. When the TFR falls below this level - the nation goes into extinction. A typical point of communist propaganda is attempts to convince people that the birth rate of Russians in a socialist state has positive dynamics. To this end, the Communists show the growth of the total population (steadily slowing down), or the general fertility rates. However, such references - in essence, there is an ordinary deception, designed to conceal from the uninformed reader the main indicator of demographic well-being: the number of children born on average by one woman. The population can grow by inertia some time even with insufficient TFR under the influence of some factors (such as sharp disproportions in the age structure of the population), nature will not be deceived - and such a “growth” in several decades will inevitably cast off with a collapse in the absence of the necessary foundation, that is, sufficient fertility to fill generations. In reality, the birth rate among Russians fell below the level of reproduction is not at all in perestroika or after the collapse of the USSR, as the communists try to suggest. The first year, when the TFR steadily fell below the level of reproduction of the population, was 1965 year. Before the collapse of the communist state at that moment there were still 26 years, the Brezhnev period was just beginning. Thus, it was under Soviet rule, as a result of the communist national and socio-economic policy, that the birth rate of the Russians was weakened to a level that did not even provide simple reproduction. The last episodic rise in the birth rate above the reproduction level was 2, the most severe prohibition of the dry law, introduced by Gorbachev. However, right after this, the birth rate began a new landslide. This powerful fall of the TFR is the last of the points to be noted in relation to the Soviet birth rate. Modern communist propaganda invariably ascribes a low birth rate in the 90s to the rejection of communism and argues that while maintaining the communist regime, the Russian people allegedly had to grow in number. However, if you raise your eyes on the chart of the birth rate, everyone will see - a sharp, the collapse of the TFR began even for 4 year before the fall of the Soviet system, and moreover - the main part of the sharpest drop in the birth rate (1987 - 1993) occurred in the Soviet period. Of course, temporary disorientation and the uncertainty of citizens in the future in a difficult transitional period also contributed negatively. But about any demographic "well-being", allegedly interrupted by the collapse of the USSR, it was not even close. At the time of Russia's abandonment of the ineffective communist socio-economic system, the birth rate had already fallen into the abyss, and even a quarter of a century before that, it had crossed the line of extinction. As you can see, this situation was fully formed in the Soviet time, and attempts to give communism to the Russian people as a “solution” to the demographic problem are a rude and malicious deception. The catastrophic collapse of the birth rate in Russia in the twentieth century, communist propagandists, as usual, justify urbanization. However, other countries passed through urbanization. How did the birth rate correlate with the population moving to their cities? Take, for example, Canada - a country, like Russia, located in northern latitudes. In Canada, active urbanization began earlier than in Russia. At the same time, at the time of its beginning, the Canadian birth rate, as in Russia, was 6-7 children per woman, which are usual for rural countries. The fall of TFR from 7 births to the reproduction threshold in Canada took a little over 100 years. The communists got Russia with about the same birth rate - in the 1925 year, when the civil war unleashed by the Reds ended and the mass famine of the beginning of 20 s ended, the TFR was still 6,8 births per woman. But to the level of TFR in 2,15 births for a woman under communist rule, he fell not in 100 years (as in Canada), but in just 40, by the year 1965! Canada, of course, is not the only example. 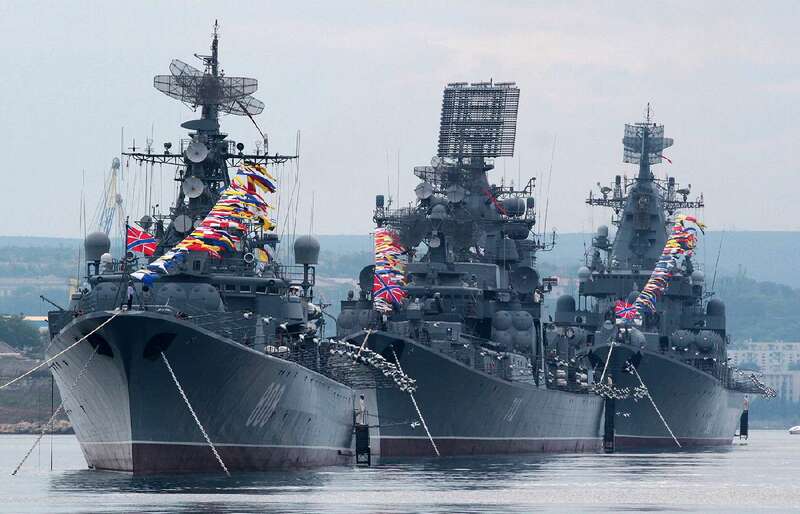 In the twentieth century, Russia’s long-time rival Turkey, which also lost its empire after the First World War, began to pass through urbanization. Mustafa Kemal Ataturk, whose ideas the Turkish statehood was one way or another guided by after the death of the entire twentieth century, also took a course on the social reforms of traditional Turkish society and secularization, which in a sense overlaps with the declarations of the Bolsheviks. However, this is where the similarities end, since the ideas of the Turkish nationalist Atatürk did not have the slightest relation to communism. Thus, we can compare how the social reforms of the communists and nationalists influenced the demographic situation in the respective countries. The active urbanization of Turkey began with the 1950 of the year (i.e., 20 years after the Soviet), while there were also smoother and sharper periods. However, before the birth rate fell, all from the same ~ 7 births per woman to the reproduction level of the Turks still passed 60 years (the milestone was crossed only in 2010 year). Thus, in Canada, the fall in the birth rate to a critically low level took 100 years, Turkey had 60 years, while in Russia, captured by the Communists, this sad path was taken at the Stakhanov pace over 40 years. The Communists, of course, will try to declare at this place that it’s all about a faster pace of urbanization in the RSFSR. But as can be seen from the graph below, this can only be said about the early period of urbanization in Canada, but already from 1945, the Canadian rate of urbanization is aligned with the Soviet ones; Turkish, on the other hand, sometimes lag behind the Soviet ones, and sometimes on the contrary, overtake them. Therefore, in order to visually show the contribution of the degree of urbanization to the demographic condition of countries, it is worthwhile to give one more important graph: dependence of the birth rate in a country not on time, but on the degree of its urbanization. This should make an important remark. In Russia, the twentieth century was marked by a multitude of social cataclysms that brought down the birth rate (this was a mass famine repeatedly organized by the communists, and a civil war unleashed by them, and two world wars). But the goal in this case is to demonstrate not the obvious effects of one-time events, but the long-term influence of the social system established by the communists on the Russian birth rate. Therefore, the birth rate in this case is taken only for those years that can be called “prosperous”. Namely: the imperial 1897 and 1913 years, 1927-th (civil war and famine of the beginning of 20-s have already ended), 1931 year (collectivization started, but the famine has not yet happened), 1940 year (last year before the war), 1949 (already passed 1947 famine of the year). Because of this, the sharp fluctuations in the TFR caused by the reasons mentioned above will not be reflected in the graph. In the second half of the twentieth century, such catastrophic social upheavals of the RSFSR were no longer visited, therefore the dates go on evenly - 1954, 1959, 1964, and so on, up to and including 1991. This is a comparison of Russia and Canada. Despite the early onset of urbanization and its rather unhurried pace, Canada has long maintained a high birth rate. The reader sees everything himself: both in the early and in the later stages with an equal degree of urbanization both countries in a communist state the birth rate remains below the canadian! Even in the period of the Great Depression (it is marked by a blue dotted line) in Canada already half urbanized, it was still giving birth to more than in the “prosperous RSFSR” in the 60s (when the same indicator of urbanization was reached). But what about the situation with Turkey, which implemented urbanization in the twentieth century, like the RSFSR? In this case, still more revealing. The Soviet state, down to its end, was inferior to nationalist Turkey in the birth rate of children on 1-2. Under the Communists, the Russians began to die out already at 57 percent of urbanization. Turks and Canadians with the same levels of urbanization of their countries still gave birth to 3 with an extra child. These facts clearly prove that the cause of the catastrophic decline in the birth rate among Russians in Soviet times was not a natural decrease in the birth rate as people moved to the cities, as communist liars try to imagine. The birth rate in the Soviet state fell at a pace that was well ahead of urbanization. And the cause of this collapse was precisely the socio-economic conditions created by the communists. As mentioned earlier, the total birth rate and mortality, and consequently, the reduction / increase in the total number of people depend on their age structure. It is illustrated by demographic pyramids, showing the ratio of children, adults and the elderly in the total population. Absolute birth rates depend on the number of young women of child-bearing age. Mortality - in addition to the general living conditions and health care in the country - is highly dependent on the number of old people. In 1926, in Russia, the total number of women aged from 15 to 34 years was 18,7 million. It was these girls and women who did the birth rate in the next 10 years - who were just entering into adulthood and giving birth to their first child, who was giving birth to their last child ... In total difficulties of the entire population of the RSFSR, they accounted for 18,5%. On the other hand, there were elderly people of both sexes from 60 and older, moving towards the inevitable decline of life. In 1926, they were 6,85 million or 6,8% of the population. Thus, in the 10 population structure inherited by the Russian Empire, the dying old people accounted for 27 actively delivering women (for the present, giving birth to an average of 6 and more children). Population growth with such available data is inevitable and logical. There is not the slightest merit of the Bolsheviks in it. Demographic pyramid of the RSFSR 1941 of the year (black contour) in comparison with the demographic pyramid 1946 g.
Among other things, the change in the demographic pyramid in Russia during the Second World War shown in the figure above deserves attention. Contrary to the assurances of communist propaganda, not the first decade trying to write off the war losses of the USSR army to the death of civilians, the statistics speak for themselves: the decline among men of fighting age is so strongly expressed that compared to it, the female half of the pyramid seems almost unchanged! Although in the conditions of the mass recruitment of men into the army, it was women who constituted the majority of civilians and the increased mortality of the civilian population should have been taken mainly on themselves. As you can see, in reality, the picture was diametrically opposite. This suggests that of the 27 of millions of total Soviet demographic losses, the majority of them were still fighting soldiers. However, a discussion of the structure of Soviet losses during the Second World War could easily become a topic for a separate work, of which quite a lot has already been written. In the context of influencing national demography, three factors are most important here. The most famous - direct casualties and a sharp reduction in the birth rate directly in the war years. More rarely, the consequences of the premature death of millions of 1925 people and earlier years of birth are mentioned. Having died prematurely during a war — some on the battlefield, some from difficult living conditions — these people were not included in the post-war mortality statistics, which temporarily lowered the formal rates of Soviet post-war mortality. And there is another generation on the graph - the last of the generations of relatively high fertility, the interwar generation of 1925 - 1940. It was numerous from birth and it was noticeably less worn out by the war. Later, it will need to remember. As a result of the communist government, by the year of 1989, the situation becomes completely different. 22,2 million young women make up only 15,1% of citizens. At the same time, each of them gives birth on average only 2 children, which is not enough to maintain the number, and almost four times less than mothers of the beginning of the twentieth century gave birth. And even in this insufficient birth rate, there is a collapse, and in the next, 1990, the birth rate will only draw on 1,89. But this is not all: the last numerous generation that was born between the Civil War and the Second World War and less affected by the wartime is coming up to the turn of senile age. The number of old people in 1989 is 22,5 million people (15,3% of the total population). There are already more of them than young women who are to ensure the reproduction of the population in 90-s! With such a birth rate and with such a ratio of the number of young people to old people, no increase in population in the 90-s was no longer possible in principle. And both of these factors - the birth rate and the age structure of the population of the RSFSR - were completely formed by that time and set during the communist system. The demographic crisis in Russia by 1990-th year was tightly predetermined by Soviet demographic processes, as inevitable as an avalanche hanging over the slope and ready to break down. And win in the 1991 year of the Emergency Committee, succeed in the communist insurgency 1993 of the year, or even rise from hell Lenin for a couple with Stalin in order to replace Gorbachev as head of the Council of Deputies - we would see a decrease in population in any case. Because the “Russian cross” was not born out of a rejection of communism in 1991. It was spawned by the previous 70 years of communist power. Since the topic of mortality has been raised, which also affects the development of the demographic situation, it makes sense to highlight it. Especially since it is in this area that the volumes of the communist lies are simply going off-scale. In addition to the general mortality rate, which shows the number of deaths per 1000 of residents, living conditions and medicine in the country are well characterized by the indicator of life expectancy. For each calendar year (by analogy with the TFR for fertility), it is calculated based on the probability of dying for each of the age groups this year. Like the TFR, life expectancy does not depend on the age composition of the population, but only on the levels of mortality in different age groups. However, there is also a less immediate deception. The fact is that for the evaluation of demographic processes, the state has two main tools: it is the general population census, and the so-called current accounting data, which reduce the registration of deaths and births by local authorities throughout the country. Current accounting data are not complete and 100% reliable, and even in our computerized epoch errors and inaccuracies accumulate in them. And in the USSR at the beginning of the twentieth century the situation was much more complicated. The population was scattered throughout the vast territory of many tens of thousands of small villages. A huge number of qualified and educated specialists of the imperial era were killed and expelled, and the ranks of the Soviet government were often filled with uneducated (but communist ideological) individuals. The level of communication technology and information processing, of course, did not come close to modern. In addition, the communists were not at all interested in registering certain phenomena that cast a shadow over the image of the “advanced state”. The result of this state of affairs was a significant underestimation of mortality rates in the early Soviet period, which led to a very characteristic and well-known historical episode. In 1937, the second population census was held under the communists. Communist propaganda widely advertised both the census itself, and based on current accounting data, the forecasts of Soviet statisticians about the rapid growth of the population in a happy Soviet society, which the census was supposed to show. Anticipating statements about the high growth of the inhabitants of the USSR were publicly voiced from the highest positions, including by Stalin personally. However, the census results diverged dramatically from the expectations - downwards. The reaction to the incident fully corresponded to the Soviet system — some who read out the “wrong” numbers of the heads of the statistical department were shot, others were sent to the camps. In the 1939, another census was conducted, with more satisfactory results, and the war soon began, and the issue of demographic indicators faded into the background. The next census was conducted only in 1959 year. In this case, it is important that the Soviet data of the current account, referenced by the picture writers like the one described above, was not complete (and the predictions based on them cost some Soviet statisticians life at all). Nevertheless, scientists have enough opportunity to reliably recover incomplete data, and this work was done at the end of the twentieth century. Contrary to the red propaganda, there was no turning point in the life expectancy of the pre-war USSR. Even if we ignore the catastrophic failures due to civil war and other activities of the communists - just as we did when evaluating the Soviet long-term fertility dynamics - the increase in life expectancy from 1917 to 1941 was strictly on the pre-revolutionary, slowly increasing trend. This jump occurred after the war and was not at all connected with the successes of the communist system. At the end of the 20-s, the English scientist Alexander Fleming discovered antibiotic penicillin. Then research into the isolation and purification of penicillin was carried out, which allowed it to begin its industrial production and use, and by the beginning of World War 2 they were crowned with success. In 1944, penicillin production technology was purchased by the USSR from Western allies. In this connection, the communists like to talk about the so-called “krustozin”, allegedly discovered by Soviet science before the import of penicillin in 1942, and, as usual, “superior to the western analogue”. In fact, "crustozin" was a makeshift version of penicillin, the technology of which was unsuitable for mass industrial production and significantly inferior to western penicillin in quality. Therefore, after receiving Western penicillin production technology in 1944, no one remembered “crustycin” anymore. The onset of antibiotic era has dramatically reduced child mortality, which has a strong influence on the LE indicator. It was the Western technologies that caused the jump in life expectancy that came in the post-Soviet Soviet era. And the claims of modern communists to the Russian tsars for their lack of medicines from the future is an unequivocal manipulation and deception. The same applies to many diseases - such as tuberculosis, a vaccine for which was created only in the 1921 year, and it began to be massively introduced after World War 2; or influenza, from the epidemics of which more than 1918 million people died in the 1920-20 year, and the vaccine was developed only by the beginning of WWII. Generally, after the First World in the field of medicine in the world began a rapid growth of new discoveries, which influenced the situation with the health care in Russia. But the Communists, of course, give the worldwide development of medicine for their own merit. But the degree of urbanization in the compared countries at that moment was significantly different. Anyone understands that the opportunity to get qualified medical assistance even today, a hundred years later, is much higher in large cities with their developed medical infrastructure than in the countryside. 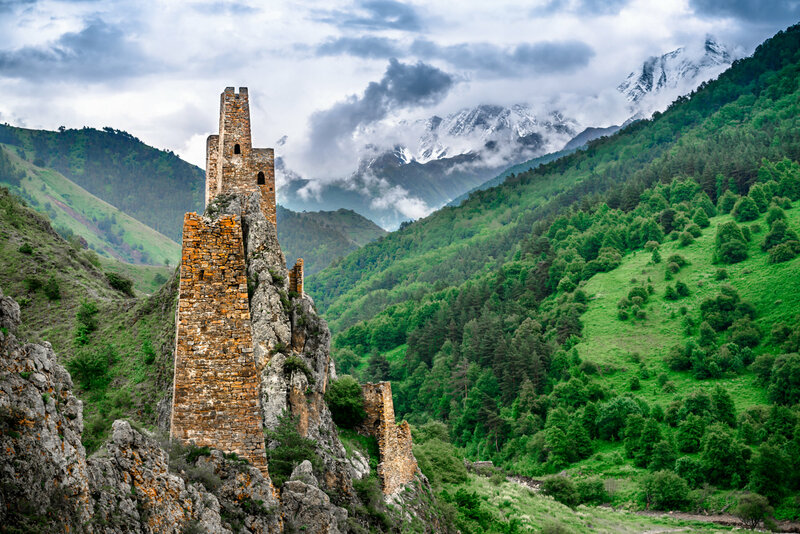 Due to the high birth rate and high infant mortality of the dopenicillin era, mortality rates in the Republic of Ingushetia were higher than in urbanized European countries. The closest degree of urbanization at the beginning of the twentieth century was in Hungary, 19% versus 15% in Russia. But the infant mortality rate there was comparable to the Russian - 200 per thousand versus 240 in the Republic of Ingushetia. In reality, the decrease in infant mortality relative to 1913 in the first half of the twentieth century was even more doubtful than the increase in life expectancy over the same period. Infant mortality lay, if not above the tsarist time trend, then definitely not below it. The sharp drop, as was said earlier, manifested itself only with the receipt of English penicillin during WWII. About the discrepancy between the reality of the so-called "data from the Central Statistical Bureau of the USSR", they are also current accounting data, on the Soviet part of the schedule - it was said earlier. But in actual fact it turns out that the statistics of the tsarist time red "enlighteners" deliberately overestimate about ppm by 3! Data on pre-revolutionary mortality is presented in many sources, and if you want to find them is not difficult. However, the purpose of such a deception is immediately clarified if the same linear trend is constructed from the real indicators of mortality of the tsarist time - and compare them with the communist indicators. The real imperial trend of mortality versus mortality in Bolshevism. In the upper graph - data for the USSR, in the lower - data for the RSFSR. after killing millions of people in the insurrection and terror they unleashed, the Bolsheviks not only failed to achieve a radical reduction in mortality, but even lagged behind the rate of its decline, which moved Russia to 1917. And the situation in the middle of the twentieth century was not at all changed by the Soviet authorities, but medical breakthroughs achieved in Western countries. Of course, the communists who were lying about pre-revolutionary Russia could not pass over the fall of their system. Their favorite frauds in post-Soviet Russia are manipulations of mortality rates, as in the picture above. The communists, under whose authority the life expectancy in Russia has fallen since 1964, and the death rate has been growing ... they are beginning to draw a decreasing "trend" in mortality to their era! Then, on the basis of this fictional line, they begin stories about multimillion-dollar deaths, which allegedly led to the rejection of communist "well-being." 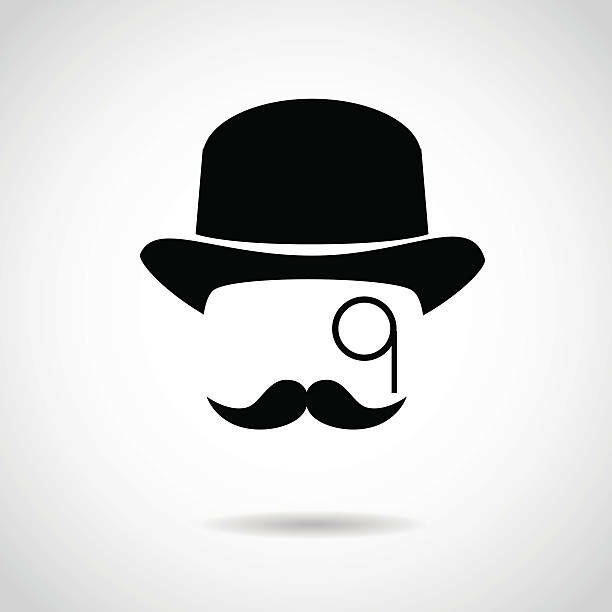 The essence of deception with the "trend of mortality 80-x" is quite simple-minded. In 1985, the “traitor Gorbachev” (as the modern communists themselves call it) who introduced Perestroika introduced prohibition. As a result, with the 1985 of the year, the death rates have dropped by about 2 per thousand. But this external impact, naturally, had no relation to trends and long-term changes in mortality among residents of the RSFSR. In principle, even in the communist picture itself, it can be seen that the mortality figures - adjusted for the shift - continued to increase even after the adoption of Prohibition. With its cancellation, immediately rolled back and the whole effect. In fact, mortality in the 90-s lay on the Soviet trend, hesitated around it due to various events - whether it was the return of alcohol after prohibition, the war in Chechnya, crime or social unsettledness caused by the complexities of the transition period. However, in the end, the reformation of the country gave its fruits in the 2006 year, already under Putin, Russia managed to curtail the disastrous Soviet trend and begin to reduce the gap in life expectancy between itself and developed countries. In addition, if in the developed western capitalist countries the typical dynamics of mortality was a stable level or a slow decline, then everything was different in the USSR. And when the influence of antibiotics and premature mortality, WWII played its own way - mortality in the USSR as a whole and the Russian SFSR in particular began to grow at a steady pace. Low overall mortality rates were only a brief episode under the influence of external factors, and not a normal state of affairs, as Soviet propaganda depicts. But most importantly, the total mortality rate in a country depends not only on living standards and health care, but also on the age structure of the population. But the indicator of life expectancy does not depend on this factor, and it characterizes much more objectively the current living conditions and the level of health care in the country. It is time to show how real the life in Russia under the communist regime differed from that in Western countries. Just rate it and feel the difference. The most diverse countries - warm Mediterranean and cold northern ones left over from World War II aside and having taken the most active part in it, world leaders and modest second-tier states that had very different state of affairs in medicine and wealth levels - all their medical progress, which flared up after the First World War, sent a steady and steady growth of health and longevity to the same trajectory. But not Russia. The most terrible plague of the twentieth century ruled in Russia, over which the pills and surgeon’s scalpel had no power, from which medicine could not give medicine. Political Plague - Communism. Life expectancy in the RSFSR after the introduction of Prohibition. All the same Bolshevik dynamics of extinction could be observed in other Slavic and Baltic SSRs, and among these republics in the Russian SFSR, the longevity was the shortest. It is not a secret that Marxists consciously supported the privileged position of non-Russian state formations and a higher level of consumption in them (as always, at the expense of resources pumped out of Russia). The results of this policy were reflected in the longevity. Communist rule has become a comprehensive disaster for our people. Its demographic results are not only tens of millions of Russian people and residents of other countries directly killed by the Bolsheviks. This is ruined by communist experiments fertility. This is the growing mortality with each passing year. It is a backward medicine and humiliating living conditions, resulting in an unprecedented trend in European countries for a shorter lifespan. This is a warped demographic structure of the population, along with the failure of the birth rate that gave rise to the “Russian cross”. This is the road that the communist agitators are urging us to return to today, who are trying to trick an island of prosperity into betraying an inhuman system that has humiliated and ruined the Russian nation for decades. If the Bolshevik system existed for several more decades, it could ruin the Russian people completely and irrevocably. But fortunately, fate gave the Russians a chance for deliverance - and they took advantage of it. At the cost of a difficult period of difficult and not always successful reforms, we managed to break out of the disastrous matrix of communism. Today, our country and nation are gradually recovering after decades of the communist yoke - remembering themselves, concentrating, and preparing to reclaim the great future that the Bolshevik leaders stole from us. However, Marxism is not over yet. The followers of Marxist slogans still cherish the desire to repeat the events of a century ago, once again destroy our country and complete their foiled plans. Marxism is trying to engage people in the destruction of its homeland with deceit and cunning, it spreads promises of a “bright future” and tries to conceal the real consequences of the practical implementation of red ideas with a lie about the past. In the twentieth century, the Russian people became the first victim of Marxism. This life experience has got our people a terrible price. We have no right to forget it and allow communist propagandists to substitute national historical memory invented to justify the Bolshevik crimes with fiction. Today, the duty of every patriot is to resist attempts to reintroduce into the minds of citizens destructive ideas about the “benefits” of Marxist regimes and communist revolutions. To protect unwary and gullible from ubiquitous Marxism lies. By deceiving the peoples in relation to the past and the present, Marxism leaves no attempt to deprive them of their future. And we must be vigilant.